The myAudi app (1) helps connect your Audi with your daily routine and can bring more driving comfort into your life through innovative functions and services. You must register on myAudi to use the Audi connect services. Certain services require the completion of a key user contract for full access. The availability of services may vary, depending on the model and equipment of your Audi. 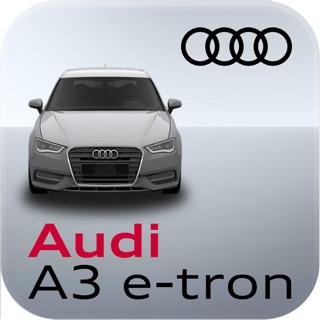 The myAudi app is provided by the importer for the applicable market. See the app legal notice for details about the importer. Some functions depend on third-party providers and may not be available without restrictions at all times or in every country. We recommend a flat-rate high-speed data package to use our services – the applicable costs depend on your contract with the network operator. If you do not have a fast enough data connection, you may not get the full benefit of the features. Please also note any data volume restrictions imposed by your mobile service provider. Running GPS continuously in the background can reduce the battery life. (1)	Message and data rates apply. (2)	Always pay careful attention to the road, and do not drive while distracted. Audi connect should only be used when it is safe and appropriate. 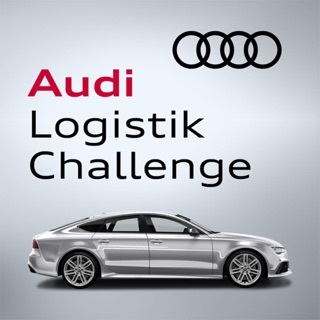 Audi connect services and features are optional, provided with the support of authorized affiliated and third party service providers, and may require additional subscriptions with separate terms and conditions. Available on select models. Certain services collect location information, see Terms of Service for information about how to disable and for other details. Google Earth features will not be available after December 2020 for Model Year 2018 & prior vehicles. Google Earth is a trademark of Google Inc. Connect services are subject to technologies remaining commercially available, such services are not guaranteed, and may not be available after 2021 for equipped MY17-20 vehicles. (3)	Refer to your vehicle’s warning and indicator lights for the most current diagnostic information. Always consult owner’s manual for maintenance guidelines. (4)	Remote Lock/Unlock not available on vehicles with a removable SIM card and Audi A3 models. (5)	Message and data rates apply. Only view alerts when it is safe and appropriate. Always pay careful attention to the road and do not drive while distracted. (6)	Always consult owner’s manual for maintenance guidelines. Please bring back the old app, at least until this one is fixed. I can’t log on. I’m glad I’m on my free audiconnect trial, because I would be very upset if I were paying for this experience. Between this and the announcement that Google Earth will soon not be supported on my brand new, few-months-old car, this makes the decision not to renew audiconnect absolutely easy. A rolling $500 charge sounded expensive but viable even back when It meant I could wow everyone who got into the car with a flashy google earth map behind the steering wheel, and when it meant a working iPhone app that had a lot of useful functionality. Now, we’re talking about ~$200/yr for essentially an in-car weather update, a really subpar news feed (these features have been boiler plate for my iPhone for a decade), and traffic updates (that can be supplied by sirius for $40/yr after a obdII port adjustment anyway). Non-functional google earth, non-functional app... I should thank Audi for saving me hundreds of dollars in subscription fees per year, with absolutely no regrets. The old one wasn’t great, but this one is a tremendous step down. The one function I really enjoyed about the old one was the ability to stream stored music from my phone through my A4’s wifi. That function is now gone. So that means getting music from the phone to the car either doesn’t happen at all, or it occurs over Bluetooth with noticeably worse sound quality and no ability to navigate/select files/tracks using the MMI screen and controls. I simply can’t imagine why Audi would knowingly strip such functionality from its app. Did they think owners wouldn’t notice or care? I did and do. Very much. Next month will mark ten consecutive years of owning Audis for me. As it happens, I’ve also been feeling the itch for a new car lately. Unless it’s fixed pronto, this functionality gut punch from Audi will, for certain, make me a former Audi owner. Update: Audi’s failure to fix the known, ongoing problems with its awful app was enough for me. After ten years and two Audis, I’m now a BMW owner. I went to use the MMI Connect app a couple days ago. When I opened it, it said no longer supported and download myAudi. I was excited because the MMI app was clunky and lacked features. After installing the myAudi app, it lacks the features and supports less than the MMI app! It took me two days to register on the new app, it’d just sit and spin when I’d try to verify my account. After I finally got that to work, it tells me they need identity verification and I have to take a contract and ID to an Audi dealer to see information about my own car!! This I understand IF I just purchased my Audi. I’ve had it for 2 years and already have a verified account. It’s 2018, there are plenty of secure ways for me to perform identity verification without going back to a dealer! Absolutely ridiculous! The value of this app makes me consider rethinking my next car purchase. I spent 6 figures on a car and Audi can’t develop a quality technology interface.